For over twenty years we have provided our clients with construction administration and construction inspection services. Inspection services typically include construction monitoring for quality control, daily reports, monitoring, and documentation of onsite testing, construction quantity calculations, pay request review and recommendations, schedule review and coordination, punchlist, and project closeout. Bramhall has provided construction staking services for heavy highway contractors and the building trade industry. We utilize a vast array of surveying equipment from steel tapes to GPS/GLONASS devices in order to provide our clients with accurate information to achieve proper positioning. Bramhall is also able to provide clients with digital machine control data and digital point data for automated equipment. 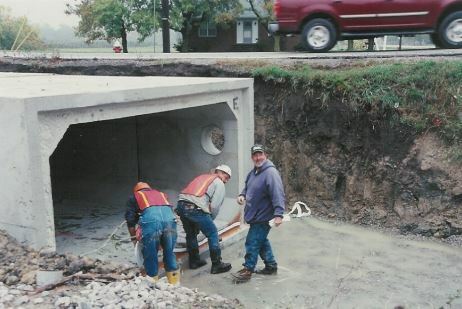 In order to meet ODOT and EPA NPDES Phase II requirements, we provide Storm Water Pollution Prevention Plan (SWP3). Plans are prepared by Certified Professional in Erosion and Sediment Control (CPESC) and all SWP3 site inspections are performed by CPESC or Certified Erosion Sediment and Storm Water Inspectors (CESSWI) in order to maintain integrity.